Shop online for over 200 nj model trains at discounts up to 39%. Trackside Accessories is the most popular of the 8 nj model trains categories, then Operating Acc., and Lighting / Electrical. This is the HO Scale Pennsylvania Railroad Position Light LED Signal Head Only - Standard Head (Full Circle Housing) by NJ International. This is the Crane Boom Section Freight Load Kit pkg(3) from NJ International. Each Section 6-1/2 x 1 x 3/4''. This is the Open Speeder (Assembled) Painted Brass, Unlettered (Boxcar Red) in N-Scale from NJ International. This is the N Scale Single Board Signal w/LEDs - 2-Light (silver) by NJ International. 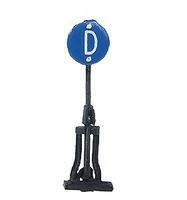 This is the HO Scale D Type 3 Light Signal Head Brass by NJ International. This is the HO Scale Assembled, Operating Switch Stands - High Star Type - Derail w/Blue Target by NJ International. 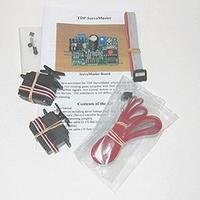 This is the Servo Master Activation System For Crossing Gates & Semaphores from NJ International. This is the N Scale Pennsylvania Railroad-Style Position-Light LED Signal (Brass) by NJ International. This is the Closed Speeder (Assembled) Unpowered Painted Brass, Unlettered (Boxcar Red) in N-Scale from NJ International. This is the N Scale Single Board Signal w/LEDs - 2-Light (black) by NJ International. This is the HO Scale Small Harbor Boat Set Kit from NJ International. 2 Sail Boats, 2 Motor Launches & 4 Row Boats w/Oars. This is the N Scale Single-Board Signal w/LEDs - 3-Light (silver) by NJ International. 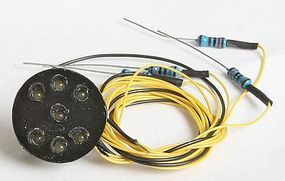 This is the N Scale Switch Indicator w/Red/Green LED - Black pkg(2) by NJ International. This is the Flash Master Expansion Optical Sensors from NJ International. This is the N Scale Ground signal 3-light silver by NJ International. This is the HO Scale Hayes Bumping Post Brass Casting WD Type Hayco Detailed Shock Free Cushioned Head from NJ International. This is the Hayes Bumping Post (Track Bumper) Brass Kit WD Type in N-Scale from NJ International. This is the HO Scale GRS SC Type Dwarf Signal w/Red & Green LEDs - Black by NJ International. This is the HO Scale Phol Low Design Switch Stand w/Modern Ergonomic Throw Handle by NJ International. 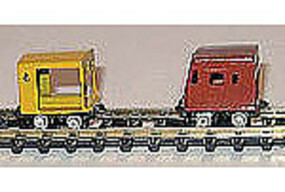 This is the HO Scale Switch Indicator Silver (2) by NJ International.